Hi all! 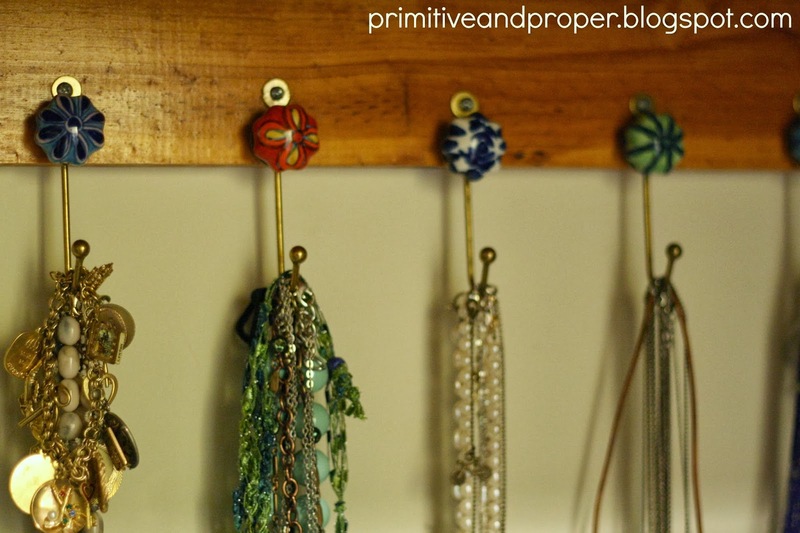 I am Cassie from Primitive and Proper, and I am excited to be here on Heidi’s blog! I just love Heidi and have had the good fortune of hanging out with her in person a couple times and can assure you she is even sweeter in person, if that’s possible. When Heidi started conquering her small spaces, I admitted to her that I had several that needed some love so she asked me if I’d like to share. Bare with me…. this is embarrassing! 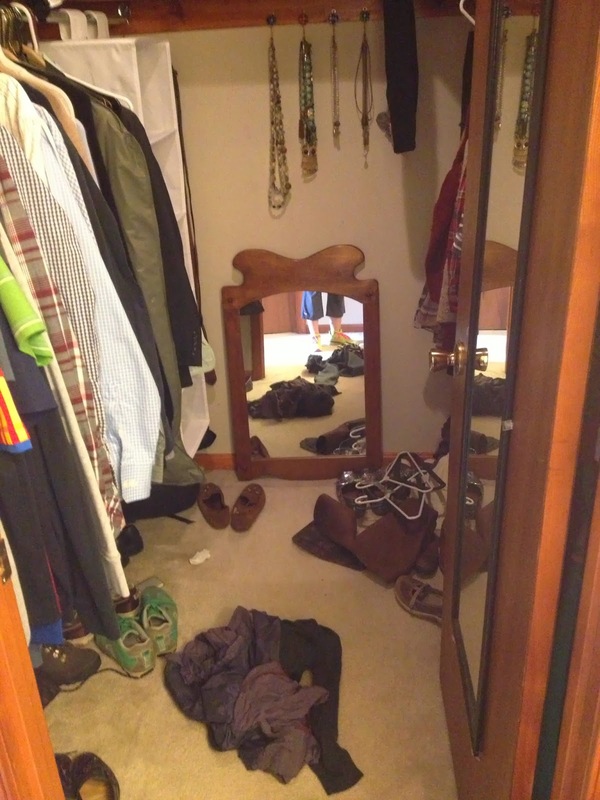 Our master bedroom has a “walk in closet” in technical terms, but it’s so awkward. My husband Chris has the left side and I have the right side as far as clothes go. As you can see below, I tended to just dump things on the floor…. it was so poorly organized and just MESSY. The shelf that goes around he perimeter was a mess as well but I missed it in this photo. Finally I decided to do something about it to make it more presentable. And when there are pretty things in a space, I am more inclined to keep it clean, so I decided to add a little decor as well. I spent a good part of a day cleaning out all the clothes, and made my husband (who is a harder of old t-shirts) sort through a giant pile of things he hasn’t worn since 1998. 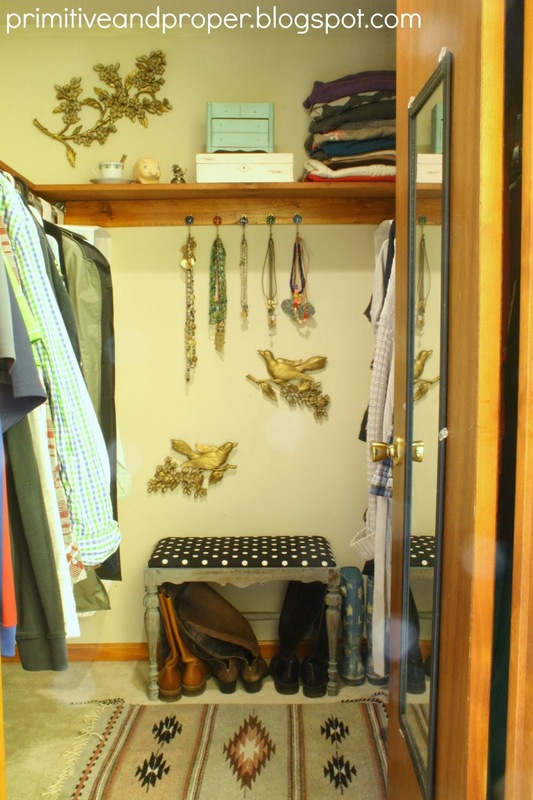 I organized my shoes, accessories, cleared off the floor, added a little vintage Indian rug, some gold Syroco birds and a branch, and it was MUCH better! Ready to see? Ha! Ok, I wish! I didn’t fool you, did I? No, that closet can be found here. And mine, in reality, is below. Nothing glamorous, but at least it’s not a hot mess anymore! I added the little bench I painted with milk paint and covered with polka dot fabric just for a fun little punch. 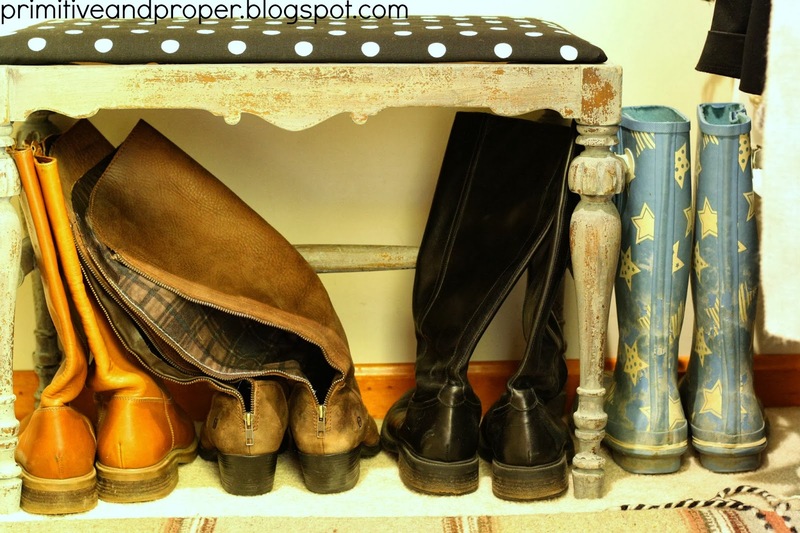 It also helps to keep my boots up straighter. 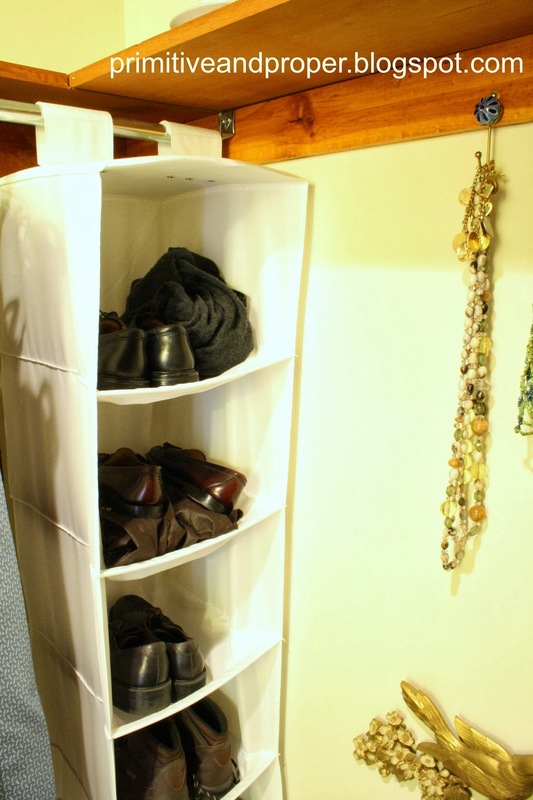 And mine are in the hanging organizer on the right. 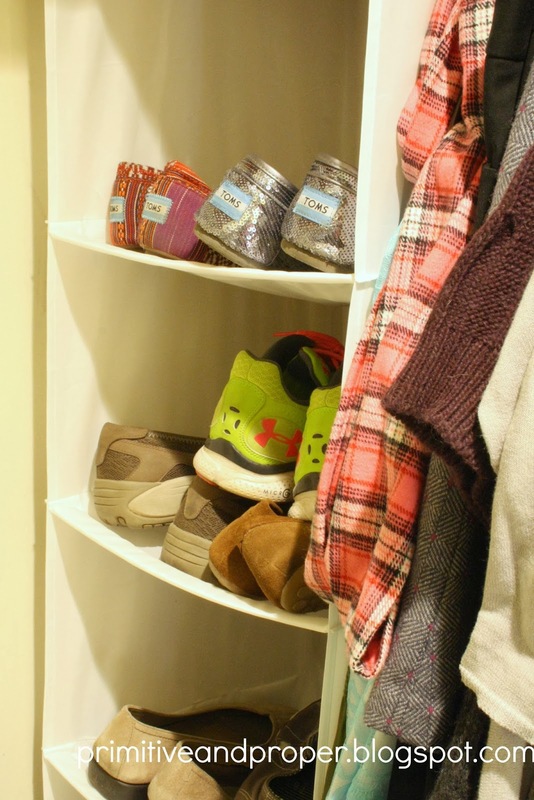 (I don’t own a ton of shoes…. not really a shoe girl). My friend gave me this owl scarf organizer for my birthday, and it’s perfect for wrangling them all! 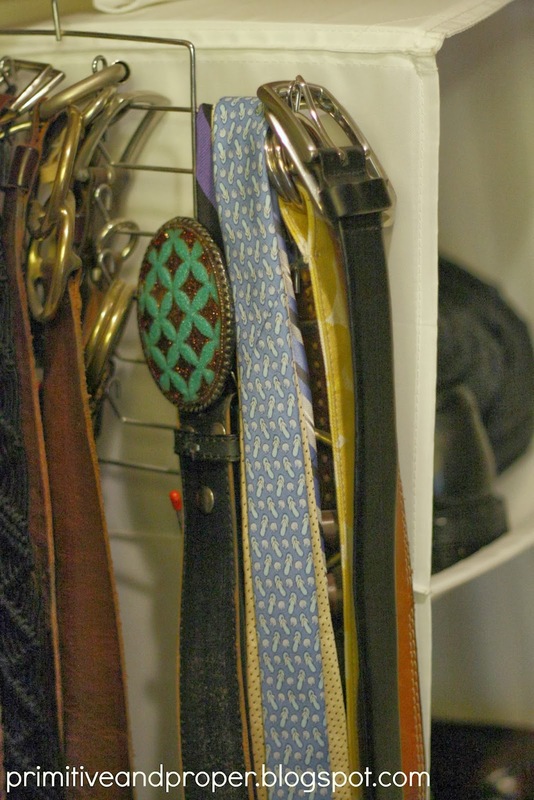 Next to Chris’ shoes, all the belts and ties hang on a ti hanger. (Chris doesn’t own many ties, so it work better for our belts). 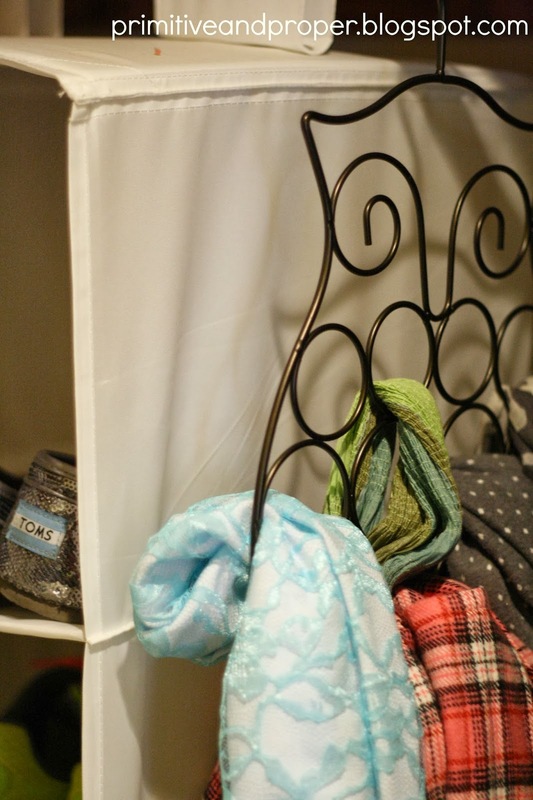 I found these rather inexpensive hooks at World Market and loved their colorful vibe. They hold all of my necklaces. They are especially important in holding onto the sentimental pieces, like my “MMOMY” necklace. 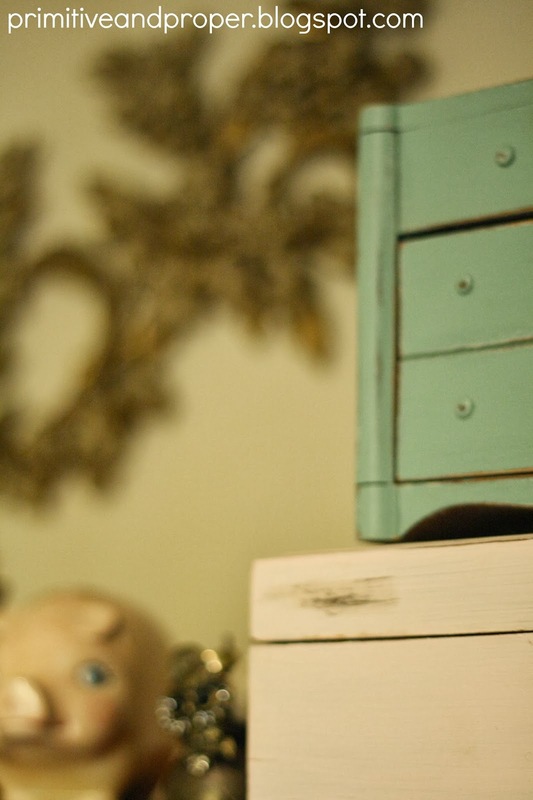 My other small pieces of jewelry are organized above in small vintage containers. Thank you so much, Heidi, for letting me share my conquered small space with you and your readers today! Thank YOU, Cassie, for sharing your organization inspiration with us! 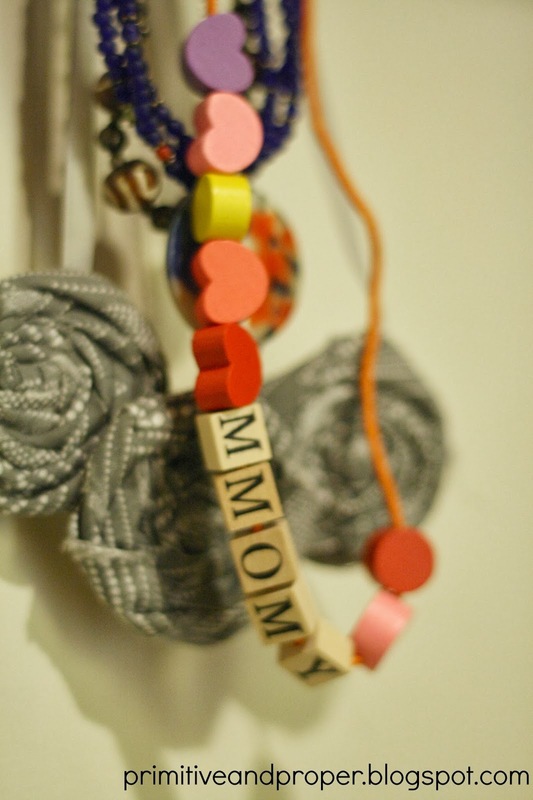 I am so crushing on her necklace solution — don’t we all need a colorful way to display our accessories? I’m so blessed to know Cassie and look forward to hanging out with her some more at Haven this summer… and hopefully absorbing some of her talents! 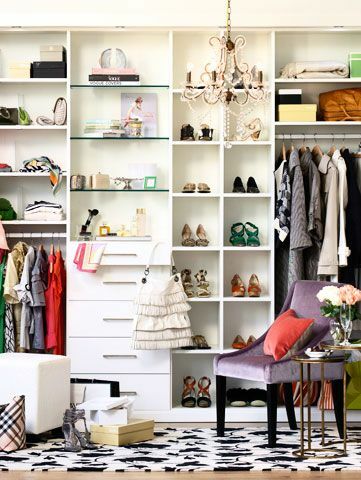 Ok, let’s hear what you’ve been organizing lately! Enjoy your Monday! Don’t forget to enter my Birthday/Blogiversary Giveaway! 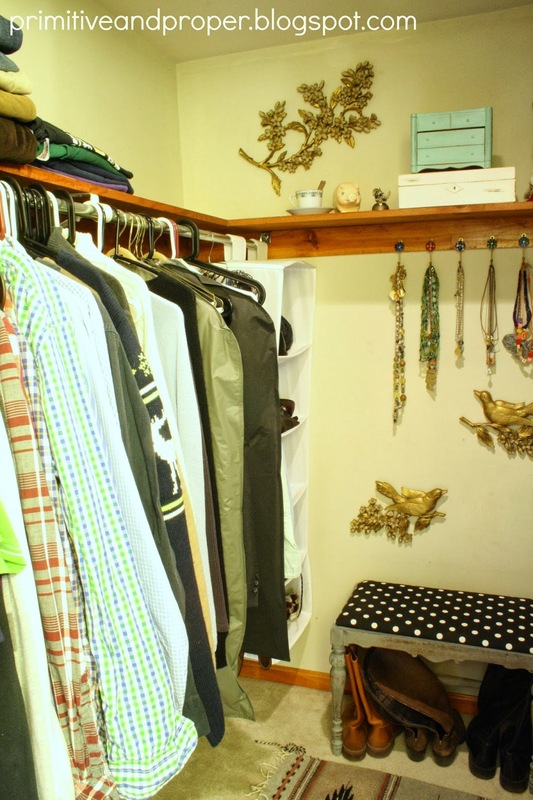 Great, great job Cassie!…so many great ideas and the closet looks wonderful!…love the hooks! !